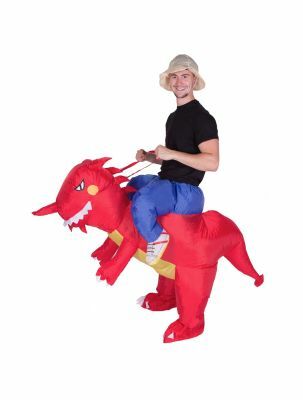 If you're looking for a great birthday present or fancy dress outfit, then look no further. 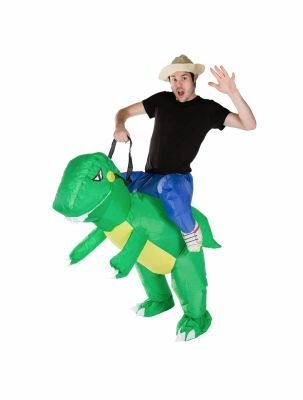 Our Inflatable premium dinosaur rider costume looks fantastic and gets a laugh wherever you go! 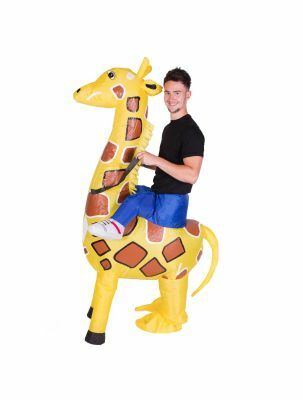 Perfect for fancy dress parties and dressing up this costume will make you the person to remember, and with a battery pack that will keep you inflated for up to seven hours there will be plenty of time for fun and frolics. 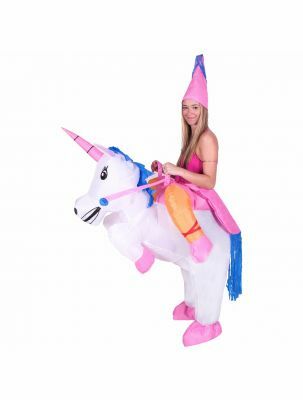 Forget sheet ghosts and comedy wigs, if you really want to steal the show at a fancy dress or birthday party, then this costume is the way to go. Simply step inside the costume, attach the battery pack and turn on the fan. Once zipped up, the costume inflates within seconds.